How do you and your dog sleep at night? Researchers have debated whether you should let your dog sleep with you or not, but a recent study took an objective look on the subject, and came up with some interesting observations. * Dog sleeps outside the bedroom. * Dog sleeps in the bedroom, but not in the bed. * Dog sleeps on the bed. 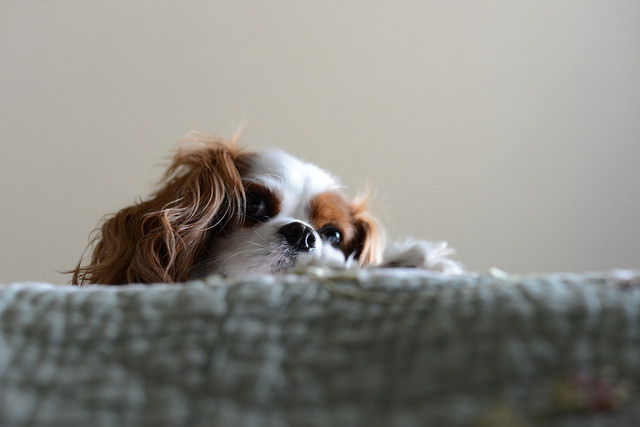 Surprisingly, they found that the best quality of sleep belonged to group 2: people who let their dogs sleep in the bedroom, but not actually on the bed beside them. The researchers theorized that having your dog in the bedroom with you provides you with peace of mind and a sense of security. The worst sleep, on the other hand, happened among owners who let the dogs sleep in bed with them.